We can manufacture construction machinery parts and agricultural machinery parts for all makes and models. Comparable to the original parts, these customized parts enhances the productivity and performance of the machinery. Our expert engineers can also design and develop unique custom parts for new models of construction and agricultural machinery. - Coupler sleeve is constructed of High Strength Machinery Steel Grade S20C, designed to withstand a breaking strength of at least 625 N/mm2. Halfen Moment India Pvt. Ltd.
We are leading manufacturer for the road construction equipments. We also deal with the spare parts for the road construction machinery. Volvo Tooth System gives you optimized long change intervals, high productivity and profitability. We offer specialized patented teeth and adapters for all types of applications. High quality parts that lower your total cost of ownership and maximize the performance of your machine. 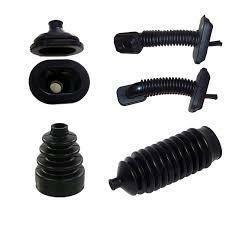 we are largest seller & manufacther of all types of concstristion equpiments spares. Vibrating Roller Pad are used in road rollers and other road construction machines. They can be custom made to suit the customers’ need. They have a high shock resistance capacity and handle a load of upto 5000 kgs per pad.